2.2 Why Is It Important To Post Consistently? 8.2 But why does this work? Marketing and more specifically, how to market your bar is more important today than it ever has been before. We have all had those lazy afternoons and nights when not a soul comes in to see us behind the bar. Now that means less tips, less fun and ultimately less money put behind the bar. But what can YOU do to combat this? As promised – all of these steps are highly actionable and will not cost you anything. What you have to do is increase your skill set. You may already be involved in Social Media for your bar, or you may just be really interested in it. 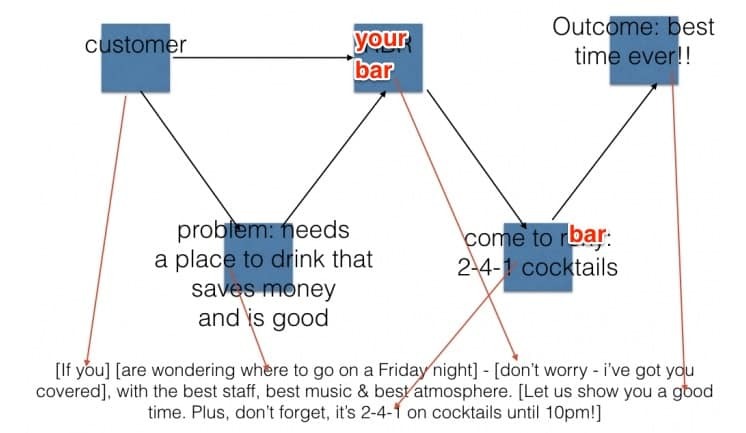 Either way bookmark this guide and use it has your blueprint to take your bar to the next level. We are under no illusion that Social Media Marketing has become harder and harder as Facebook etc.. Continue to push advertising as the main form of out reach, but there are many ways to beat this and use Social Media to our advantage. Even Social Media powerhouses only have an average organic reach of around 5% on Facebook so don’t be put off by low numbers. Plus now you have this guide. But first let’s go through what ground rules and basics that you should expect to be following, or telling your team to follow, as an absolute minimum. All venue management teams to be involved, delegations are allowed to filter down but the General Manager is ultimately responsible. It is they who also sets the clear guidelines for social media management. How are problems/challenges handled and by whom? I would suggest that they are all to be handled by the Management Team – all negatives reviews or negative comments need to be dealt with by the same person. You will get negativity, it’s just a fact of social media life. How will we evaluate our successes and learn from our failures? Once a month you should be having an analytical look at the insights for each channel, looking at what works and what needs changing up, then have discussions in house as to how to tackle problems or increase successes. Perhaps the most important basic is one that breeds consistency. Why Is It Important To Post Consistently? The truth is that what you are doing, when it comes to social media marketing, is a marathon and not a sprint. 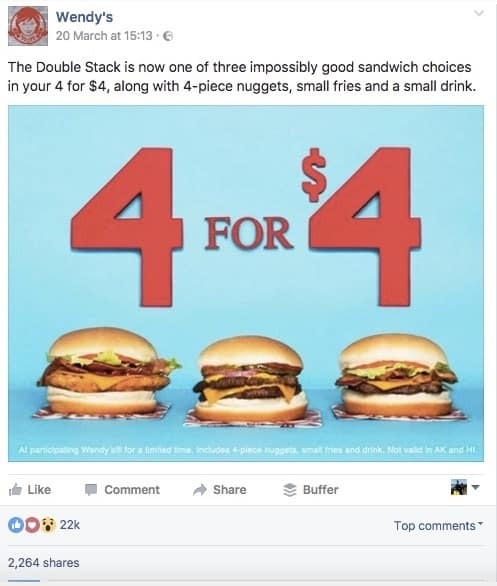 Facebook and other social media channels will reward you for it! The more you post the more your content will be in front of your customers. 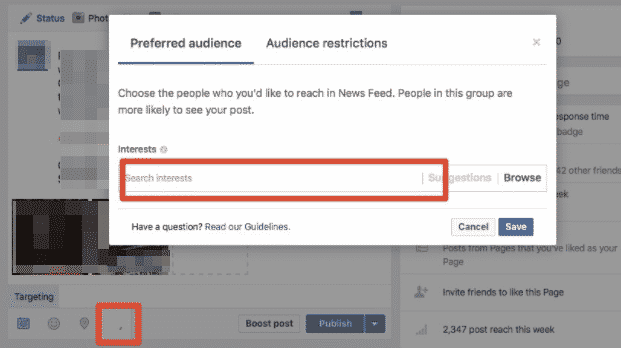 Facebook shows a post in a users feed based on the algorithm below (simplified). NOTE: Especially if you have the check in feature enabled on your Facebook page and you have actively encouraged people to do so. 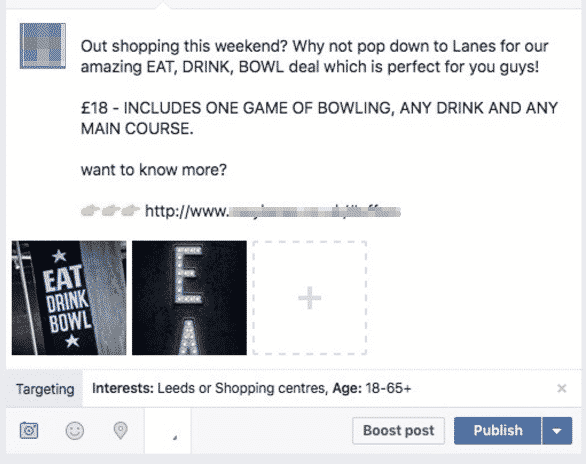 There should be lots of past engagement with your Facebook page if done properly. Secondly, Posting to a schedule maintains a consistent brand. It means that there is always fresh content on your news feed. Nothing hurts a business like ours more than creating social media accounts and then not posting to them. If a potential customer searches for your business on Facebook and sees that you have not posted in a month, they could easily assume you went out of business. But what exactly should we be posting? These five rules underneath are exactly what you need to be thinking about with every post and every interaction that you have on Social Media, following these will make sure that you are working from a good base point and stay true to the brand. This is looking at what is relevant and irrelevant on your feeds. And only sticking with the relevant. There should be no photo’s taken from Google (more later on how to create a photo bank to work from). Creating advocates – remember names, engage with them, creating regulars on line creates regulars in real life. Social Media isn’t a set and forget strategy it is social. Have conversations like it is real life. Social media is organic. It changes every day. keep within your Social Media Voice and keep consistent but be creative, see what is working for other companies – have fun. Facebook live, Boomerang etc.… Original content that people love. No one should be waiting for a reply on any Social Media site. You get back to them as soon as possible. 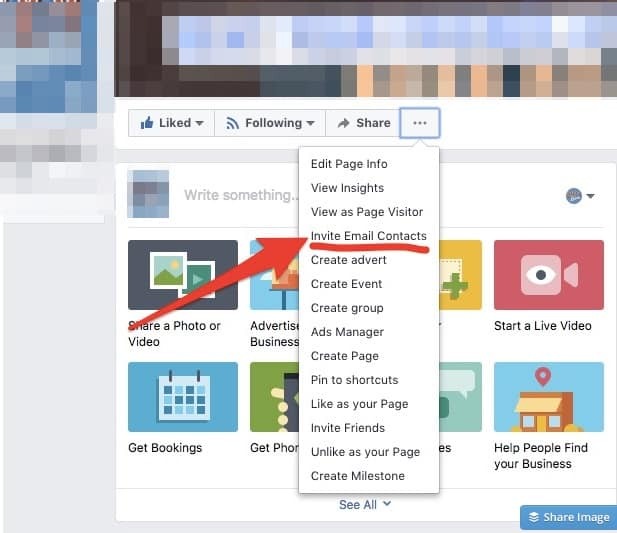 All of your Facebook Pages needs to have something that is workable in the blue highlighted section as you can see below. – This particular page as a “Book Now” button that when pressed opens another page that is the Bookings system for a venue. It is possible to change this by editing the button – For instance if you do not have a bookings system then you can make a simple contact form. I would recommend at this stage that you have it point directly at the best way for the customer to make a booking. 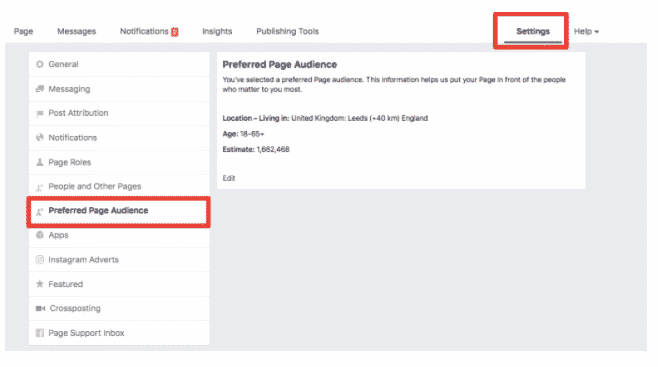 This way your Facebook page also becomes a direct sales tool that can funnel the reader straight into a booking commitment. What is a Native Video? But how does that affect a venue? Sometimes it is best to look at what people don’t like about what you are posting to do this then go to Insights > Posts > scroll down slightly > Then click these buttons as the image below shows. Find out exactly what rubs people up the wrong way by clicking which post as any negatives attributed to it. Decrease those types of post. That simple. 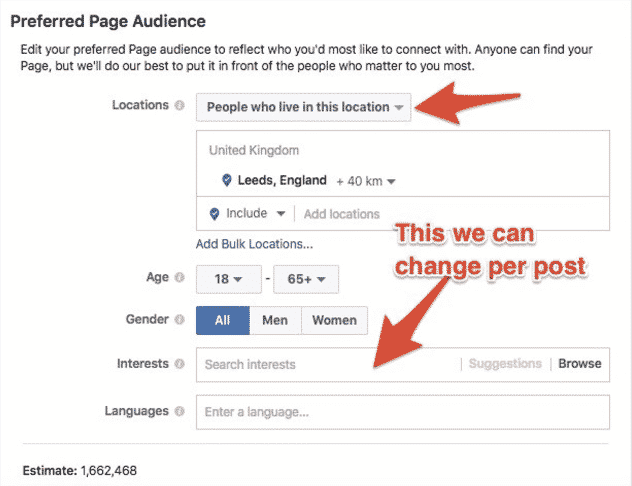 With the decrease in organic reach it as become more and more important to be able to target the correct people. Take for instance that you are trying to create a buzz around a Christmas Party at the Venue and want to specifically attract corporate clients who will spend a large amount of money. Blasting out a Christmas party Facebook Post no matter how pretty it looks and how good the content is written is going to fall on some deaf hears within your followers. You can serve your post to relevant customers based on their gender, age, education, location and even interest. You can set an end date for your post to stop showing in the news feed. The post only limits the visibility of your post in the feed. 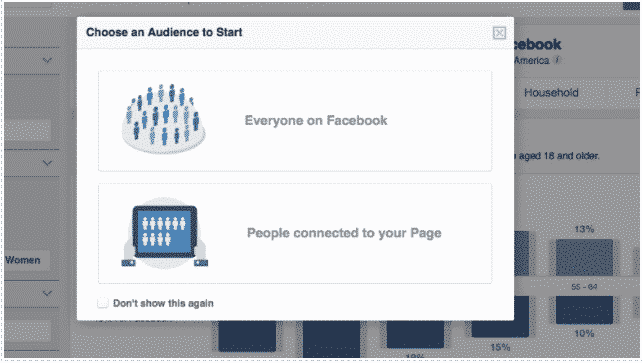 On your Page’s timeline, it’ll show up to all of your fans. 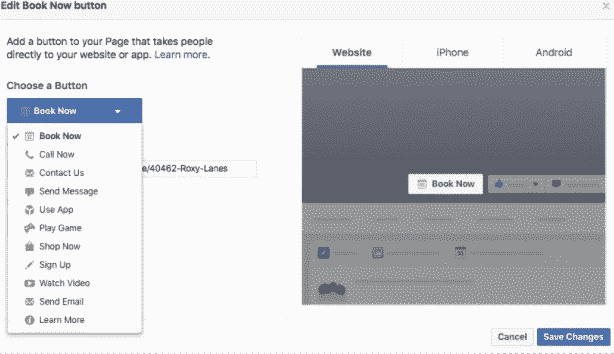 Facebook has made organic post targeting quite difficult to turn on. I’m not sure whether or not this is because they would prefer you to pay for post targeting or not. But this could be one of the most powerful tools you could use to get your content in front of the right people. 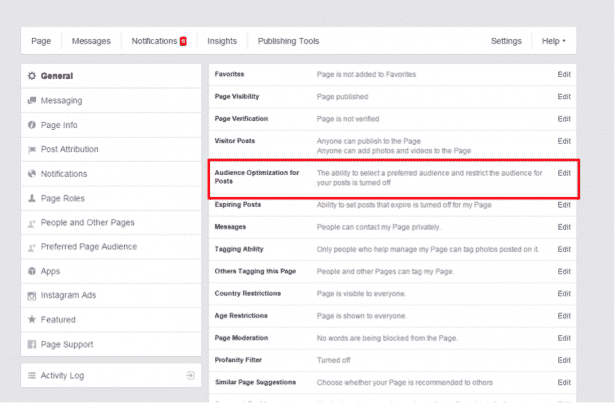 The first thing to do is go to your page settings, then make sure you have turned on ‘Audience Optimization For Posts’. 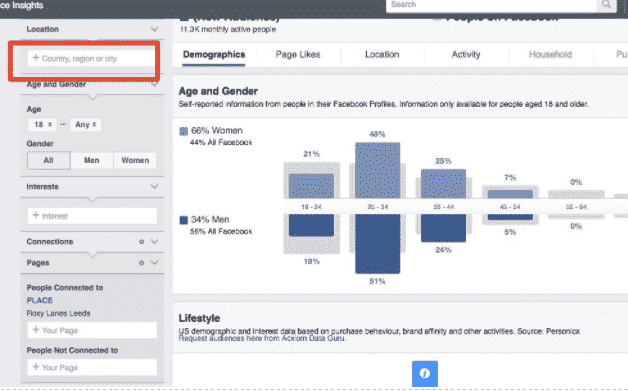 After you have done this – Click ‘Settings” again in the top right of the Facebook Page. 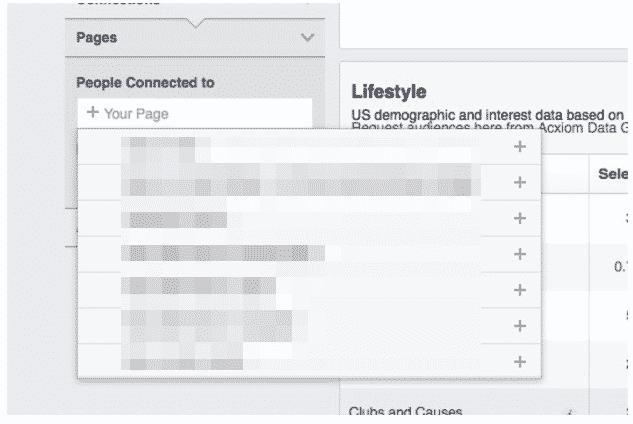 Then go to the ‘Preferred Page Audience’ Tab half way down the left hand sidebar. Change The location settings to be within your area plus the radius around that area in km. Don’t change the interests a this moment in time. You can change these per post. Then click Save – from here we can start to target specific people without spending any money and making sure we are speaking to the right audience with every post. Now go to write a post as normal. Add your photo or native video and your amazing caption. Next to the Photo, Feelings and location button (in the bottom left) should now be a small crosshair in grey, Press it. The word targeting will appear and this box will pop up on your screen. 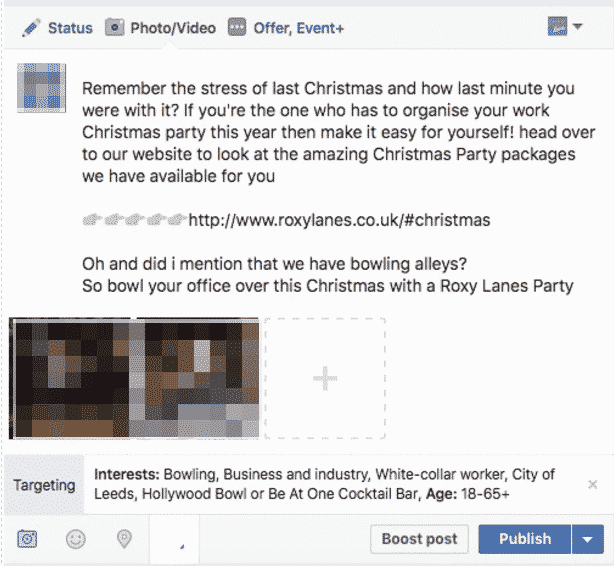 So for this example we are trying to specifically target corporate clients for a Christmas party and a Bowling Venue/ Bar. Hit save once you are happy with your targeting. 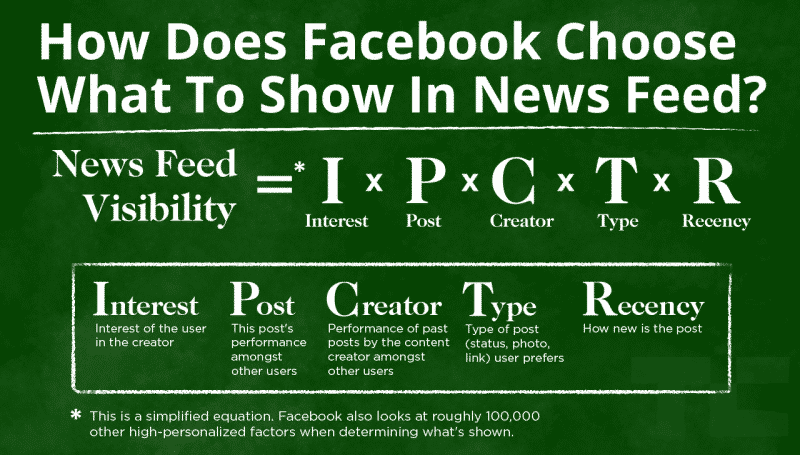 NOTE: this method doesn’t mean that some people won’t see it, it just means that Facebook will try harder to get the post in front of the correct people. Okay so that way is when you know the audience that you want to target. But what happens if you want to know what your audience wants to see? On This part it is important to remember that The venue will most likely be a place rather than a page, so press the places menu and simply click your venue. 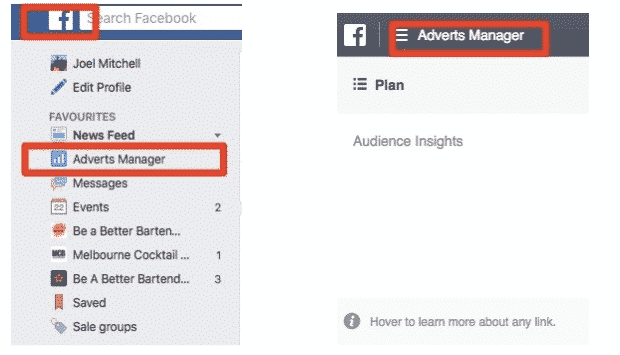 Make sure that the location settings in the top Left are cleared, this will allow Facebook to look at your entire audience. 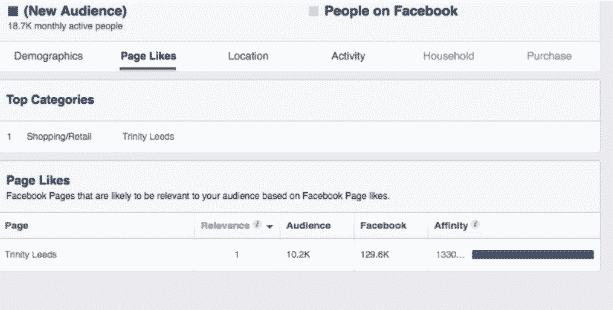 So when we take a look at the ‘page likes’ tab we can clearly see that our existing audience is also a fan of Trinity Leeds – which is the city center shopping center. There we are, that is Organic Post Targeting. This is a great tool to use when you have something super specific to promote or an event that you know a certain demographic who has particular interests will enjoy. In short don’t waste your reach when you don’t have to. 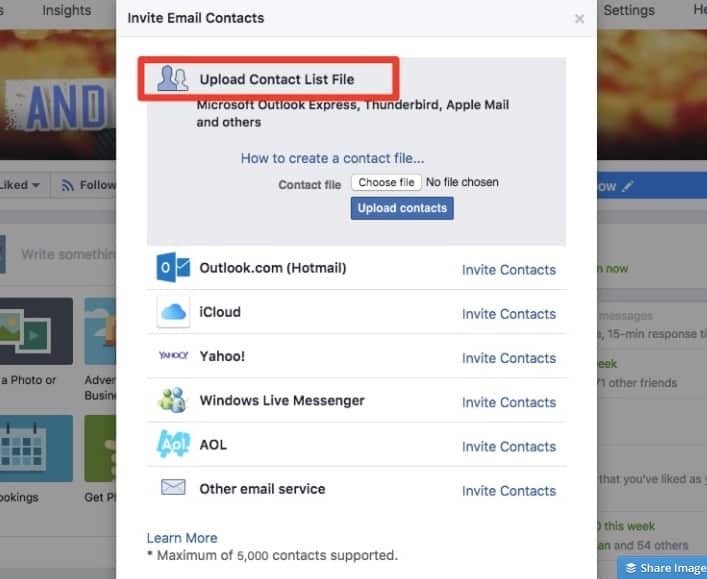 Upload the file you have just created and if the customer uses that email address for Facebook then you will show up in their recommended pages to like. With Instagram you are limited to 30 hashtags in a post. These below are some of the top hashtags associated with Food & Drink. You can just copy and paste these into your posts and you can be sure that your post will be seen by the correct people. The majority of the Hashtags should be situated in the first comment that you will make as soon as you have posted your photo not in the caption. This makes the original image not seem spammy. When you hashtag the comments it does exactly the same job as hash tagging the caption. But it makes it much more user friendly. Which is what we are all about after all. SIDE NOTE: Feel free to set up a SnapChat based around your staff at the venue. It is a great tool to personalize your brand. I would suggest doing a Instagram Story every Saturday night. The important thing is to keep it fun and staff led. Having this every week consistently instead of sporadic will build a following around your Instagram. NOTE: As Instagram stories become more popular you may increase the amount of ‘stories’ you are doing per week. As a rule i would recommend only doing around 5 photo’s or videos per story. Hashtags have been around for as long as twitter has been around. Here’s the thing, most people and companies use hashtags in the wrong way. One of the most famous hashtags of our time was #IceBucketChallenge – one of the worst of our time was #WTFF. Ice bucket challenge let’s you know exactly what it is. I bet you are still trying to work out the other one. Well, the hashtag was created by Burger King and it stands for What The French Fry. You can easily see why one hashtag as worked better than the other. You always want your audience to know specifically what ideas you’re trying to share with them. The more hashtags you add into your content, the more diluted and confusing your message becomes. As a rule of thumb, limit yourself to three hashtags per tweet. “Excited about #SummerVacation” is a clear, simple message, while “#Excited about #summer #vacation #2015! #summer2015” is not. By far the best way of using hashtags we cover in “leveraging twitter for real time” which we will cover soon. 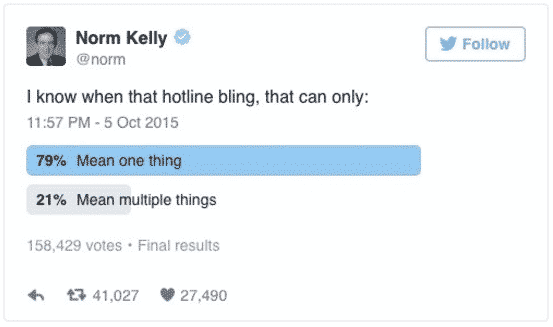 A great way of leveraging Twitter and grabbing attention is with a poll. See below how to set up a Twitter Poll. Keep your poll questions short and sweet. Your audience is more likely to respond when you keep your poll simple. 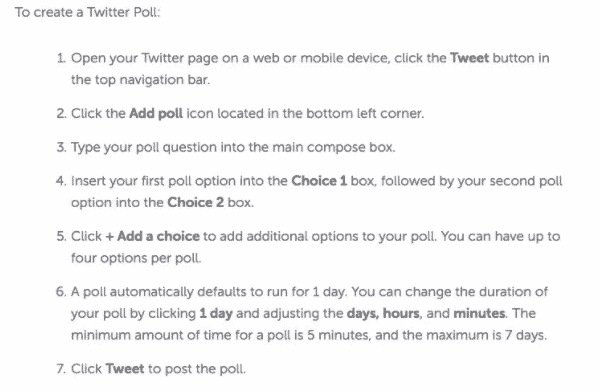 Store a list of potential Twitter poll questions and post a new poll every week for consistency. Twitter is not a one way tool, The real power of twitter begins when we use it as a communication tool. Really most traffic on a tweet (let’s treat them one at a time even retweets) happens within the first 20 minutes but can be searched on twitter for 7 days then people could see any tweet on your profile forever. So in short, your tweet, it really won’t last long so what we must do is… Leverage real time on twitter as much as we can. But how can we do this effectively? 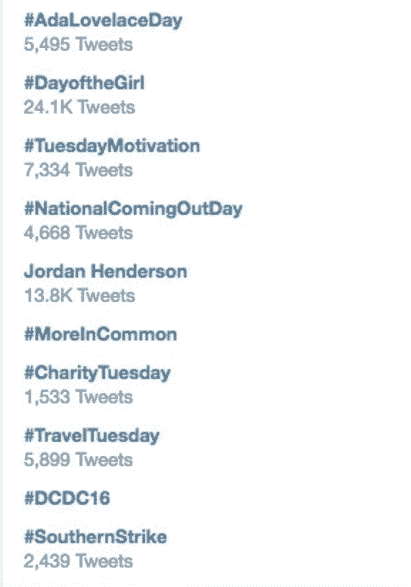 Twitter trends are, put simply, a list of hashtags that are trending on twitter right now. Using these trends can be incredibly powerful but also incredibly dangerous. This should go without saying, but never jump onto a trending topic until you understand what it is and why it’s trending. One important cautionary tale comes from the generally lighthearted social media team at DiGiorno’s Pizza, who mistook the anti-domestic violence #WhyIStayed hashtag campaign as something goofy and fun. This simple mistake was a PR disaster, and would have been completely avoidable had the team simply read a half-dozen of the related tweets. It is important to make sure the trends are “tailored to you” by pressing the ‘change’ button. This will localize the trends to you and be more targeted to your industry and your followers. From this list what can we use to further our influence in the industry and ultimately get more reach/engagement? #MoreInCommon is actually for an event based on women speakers. So in our industry it would be safe to say that we could use #TuesdayMotivation & #TravelTuesday to our advantage and maximize our reach. For instance we could have a photo of a Daiquiri and a bottle of rum. The best thing about Twitter trends is that they are continuously changing and you can’t be stuck for ideas. So go ahead and take a look at how you can use them in your venue. 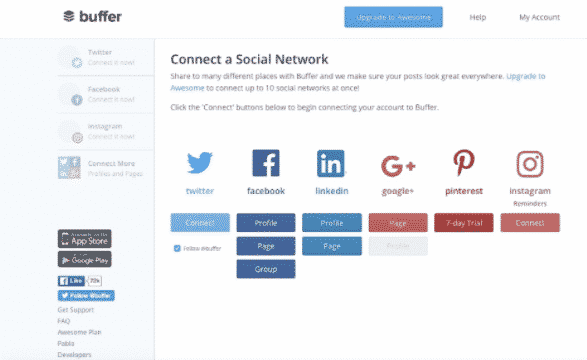 Buffer is one of the best tools out there, and more importantly to only have three social media platforms attached it is completely free for the basic package, which is all you will need right now. 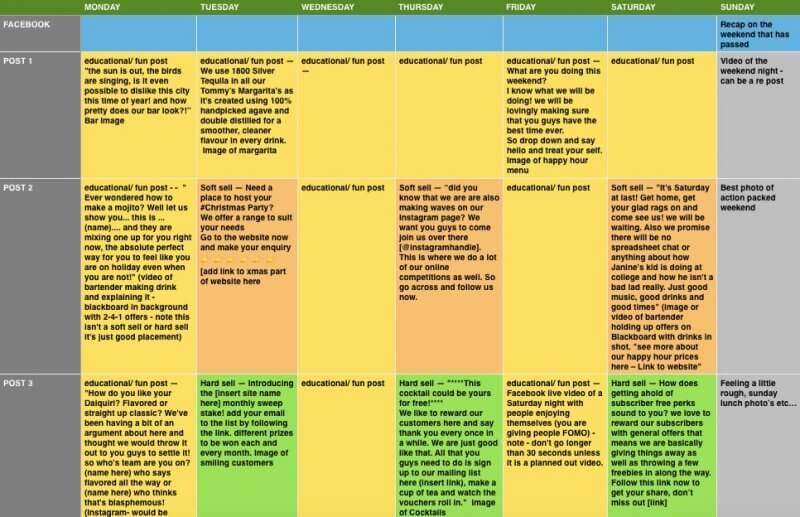 It’s basic function is to make scheduling all your posts a lot easier, but it has extra functionality in terms of analytics of your posts and an incredible post time optimizer. It will trawl through your previous posts to set out the best times of the day where you get the most engagement and set your posts to publish then. Of course you can schedule for your own time too if you need the post to be time specific. Here’s how to set it up for Facebook, Twitter and Instagram – you will have to have a smart phone with Instagram downloaded for you to be able to schedule Instagram posts using Buffer. For Instagram, it is a little harder. Instagram doesn’t allow third parties to post on your behalf. So what Buffer has to do is send you a push notification to tell when your post is ready to be scheduled. Then it will copy the photo and your caption over to Instagram for you. You need to have the ‘Instagram App’ on your phone and to be logged in to your Instagram account. So go ahead and do those two things before trying to connect your Instagram account. 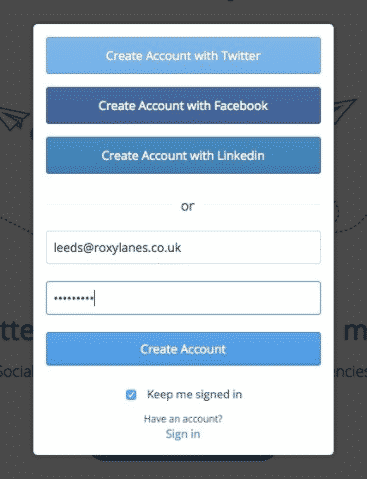 Login to the Buffer App using the same login that you used on your computer. Cool, now connect your Instagram Account. ‘If This Then That’ is an online tool that allows you to create recipes around all your services. Starting from as simple as IF – the weather app on your phone says it is raining – THEN – You will get a text to your phone telling you to remember your umbrella. Here’s a few examples of what is available right now (there are thousands of recipes), This free tool is great for getting your automation correct. A quick word on Automation: Good marketers know how to scale automation whilst still keeping it personal. If you feel as though your automation is detrimental to your customers experience then don’t do it! However there are many ways that you can utilise automation tools and still keep your customer happy. 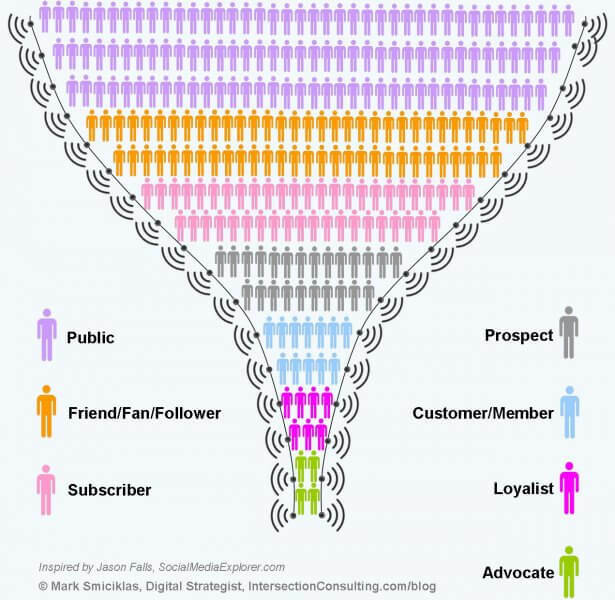 So let’s look at how this helps us within a venue with regards to our social media marketing. The multitude of applets (these used to be called recipes) means that you can pretty much do anything. 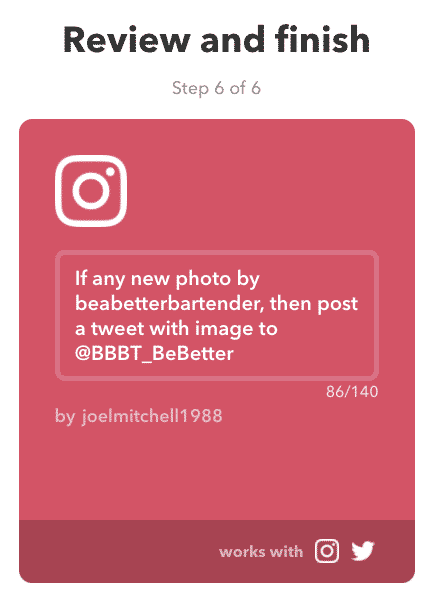 Below you can see that any new Instagram photo that I upload to Be A Better Bartender’s Instagram will automatically also post a tweet with the image to Be A Better Bartenders Twitter account. Meaning that i am saving valuable time not having to do these things twice. If you don’t have your Instagram and Facebook’s linked this is also a great way of cross sharing onto your facebook feed. Have a play around with all the different recipes and let me know if you find some absolute game changers. I live my life through Trello, I actually cannot remember how i functioned without it, for the record I am NOT an affiliate of Trello. I just believe it to be a great tool that can be easily adapted to suit your needs. The function that i will focus on right now is how to use it has your social media photo bank but there are lot’s of ways that you can adapt the tool to help with your day to day stuff within the business as well. 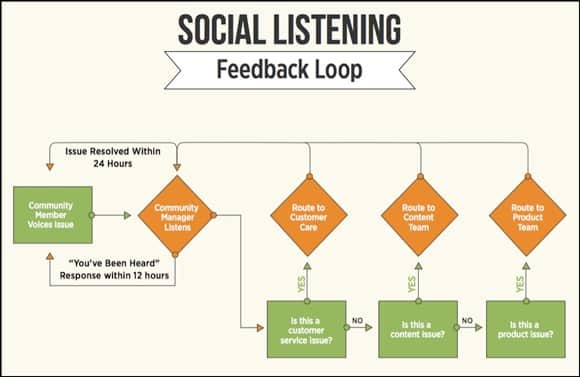 This method is particularly helpful if you are collaborating with others in your social media team. It is a centralized location that lots of you can access meaning that you will be never stuck for an image. So firstly; What is a photo bank? Put simply, it is a bunch of photo’s which have been pre vetted for quality, which are ready to be pushed out at any time. Meaning that you always have images to fall back on. Even to the point where you can trust someone else to post them. Seems like a no brainer really yeah? Well you will be surprised how many people take their photo’s in the 2 minute window they have between cleaning the ice machine and serving the customers. which can ultimately lead to the “That will do” attitude. 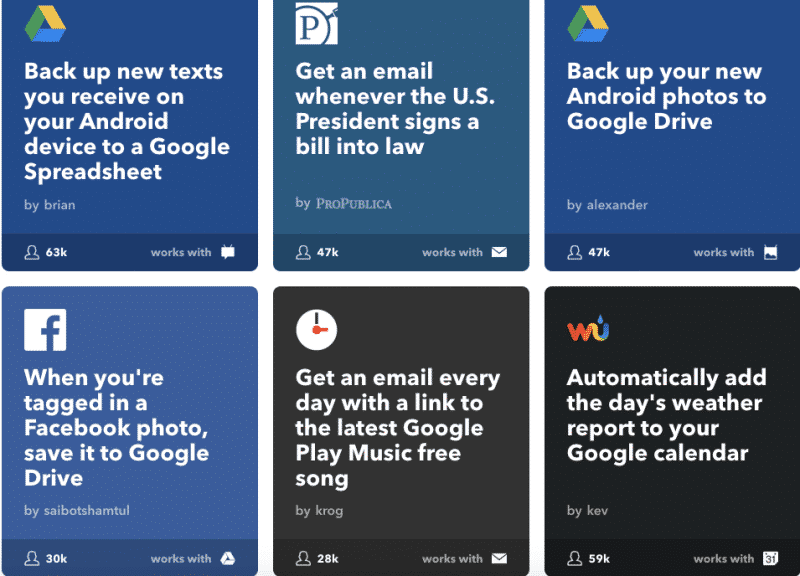 So open a Trello account, It’s free, and make your self a Social Media Board. Here are the step by step instructions on how to do this from Trello themselves. Don’t worry though, it is a very easy process. I first came accross this rule on the marketo blog, you can read their full blog post on the 4-1-1 rule here. To be successful with social media marketing, your business has to strike a balance between the amount of self-promotion it does and the amount of engagement and conversation it participates in. Of course you want to use your social media accounts to directly push business, but if that is all we do, we won’t gain many followers or engagement and we won’t be very successful. This rule is a good way to make sure you are striking a balance between promoting your own business and using social media to connect with others. It also gives you a strategy you can follow as you post to social media, so that your posts are strategic and you can keep track of what your ratio of self-promoting posts to fun/educational posts. try scheduling four educational or entertaining emails mixed with one “soft promotion” (e.g. attend an event – come to our happy hour – try our new xyz) and one “hard promotion” (e.g. sign up to our email list to receive xyz – download this voucher to grab your xyz ). NOTE: these are only examples there are many ways that you could do it! Facebook live video of a Saturday night with people enjoying themselves (you are giving people FOMO) – note – don’t go longer than 30 seconds unless it is a planned out video. Notice how these final two posts – the soft sell and the hard sell both direct people to a website? We want customers to sign up to receive emails from us. Ultimately this means that they are opting in to receive information from us. So we can be pretty sure that they like the brand, the venue and are interested in what we have to say. The soft sell (#5) doesn’t directly tell people to sign up, it gets people to the website in general, here they can find out more about us and what we are about. Whereas the hard sell (#6) actively encourages them to sign up. These is the 4-1-1 rule laid out on the table. The educational or entertaining posts are to designed to allow you to have lots of engagement and to make people stop and look at your p0st on their overly crowded timeline. If you only had these posts then your engagement would be good be good but would you make any money as a business? Most likely not. Especially if you are trying to build your brand. Okay, so if we take away the entertaining or educational posts then we are left with just the soft sell and the hard sell. If these were the only things that were posted then you might make a few extra customers but the lack of engagement means that they are seen by A LOT less people. So the posts NEED each other to work. The 4 draw them in and the other 2 knocks them out of the park. These example social media calendars are to be used in conjunction with the 4-1-1 rule. Here is a photo but the original template is also attached. Now it isn’t for me to do all the work for you but you can use this as a starting point. Take a look at how the core posts are ordered, we are trying to gain engagement and traction before we hit the customer with enticement to buy. All you have to do is add these to your buffer feeds that we discussed earlier and let the magic of the 4-1-1 rule take over. Still don’t get what the 4-1-1 rule means? Stay with me on this…. You walk into a bar with your friends and you spot an attractive person who you want to talk to. What’s the likelihood that they just tell you to go away? Rewind a little, you walk up and ask questions, build your relationship, go on a few dates, kiss. That’s what the 4-1-1 rule does, it builds a relationship so you can ask the hard questions like… Come to my bar and spend lots and lots of money please? 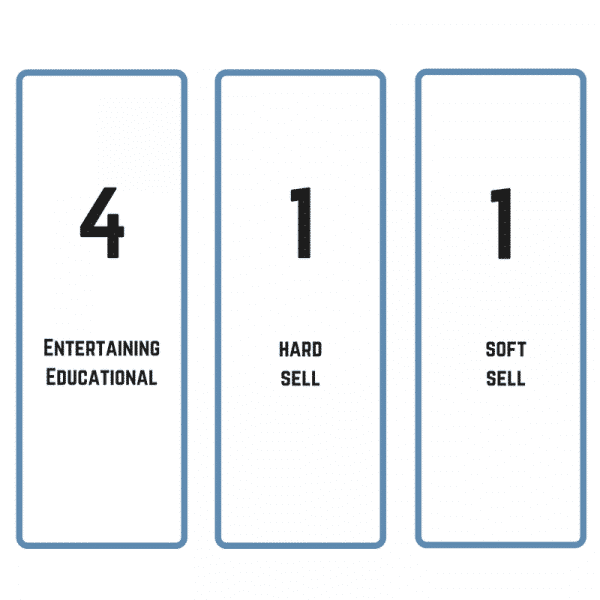 So this rundown is what matters when it comes to your soft sells and your hard sells which we covered in the 4-1-1 rule above. If you havn’t read up on that yet and just skipped it, then go back now. Together these two things are very powerful. So the first question is…How does the human mind work when it comes to Social Media? Well I’ll tell you, but first in order to understand this process, we have to understand where it came from. We have Donald Miller from StoryBrand to thank for this one. The brain is lazy! is doesn’t want to do the work if it doesn’t have to. So when we craft our social updates we do the work so the customer’s brain doesn’t have to. 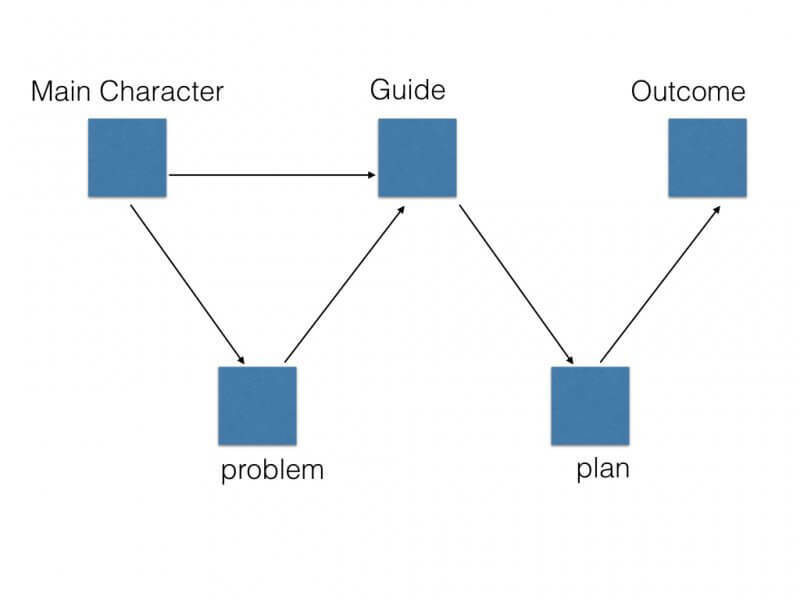 What you can see below is the basic storyline to many blockbuster movies according to the StoryBrand narrative method… And, believe it or not, this is going to help us craft the perfect Social updates. Seriously think of a film and try this out! Now, How Do We Put This Into A Social Media Perspective? So whats happening here? What’s wrong with this update? This type of post makes the main character be the Bar. Don’t be worried a hell of a lot of companies make themselves into the main character instead of the customer. The good news is that it is easy to fix. Here we go – let’s take the same subject and make it work for the human brain. But which one would you be more inclined to engage with? or the one in a narrative which makes the customer the focus? Note: this method is best employed in the ‘soft sell’ and ‘hard sell’ steps of the 4-1-1 rule. User generated content comes in all shapes and sizes. It could be as simple as sharing a photo that was taken within your venue by a customer or even highlighting a great review on tripadvisor. I think that this definition from the Buffer Blog perfectly sums up what User Generated Content is. It is no secret that millennials will soon be the main spenders in our bars no matter where we are. The love for User Generated Content first started for me after I saw this infographic below from Crowdtap. Which really outlines just how much our customers trust what other customers say. In fact they trust what a stranger says more than a well thought out and executed sales post onto your timeline. This is a really important part of leveraging User Generated Content on Instagram. If you haven’t already downloaded this then go ahead and get it now on your smartphone. 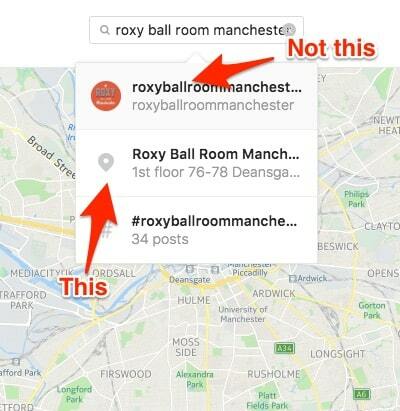 This will bring up any posts made in your location. Sorted by ‘Top Posts’ which are the ones with the highest level of engagement. Here you will find a whole heap of goodies and great content for you to work with. Back in 2016 Facebook changed the way that people can use Social Media (EDIT:As of Jan 2018 this is even more relevant). This is why you are more likely to see a friend or family post pop up on your timeline rather than a brands. This means only one thing for us. We need actual people to talk about us and they need to talk about us truly. You post about how amazing the bar looks and how people are really enjoying their night with you. That’s great. That’s correct. However…. 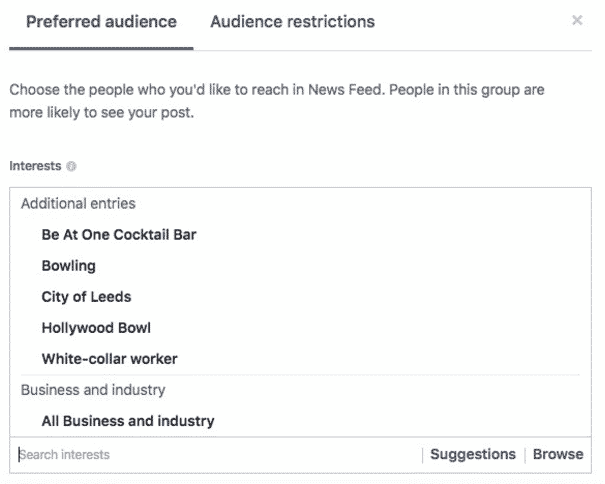 If one person in your bar posts the same content but on their own timeline then their friends and family are more likely to see it then they were to see yours. There is really two things to take into account. Social Proof: People are more likely to take a recommendation from a complete stranger than the brand that you represent. Start a weekly photo contest with your customers. Make sure that they tag the bar. Feature your staff or customers in your photo/video posts and encourage them to share your content. Simply just ask your regulars if they minded posting some positive content! It can sometimes be that simple. Okay, so the big companies will pay for their reach but we can still learn a thing or two from them about how to set up your feed. 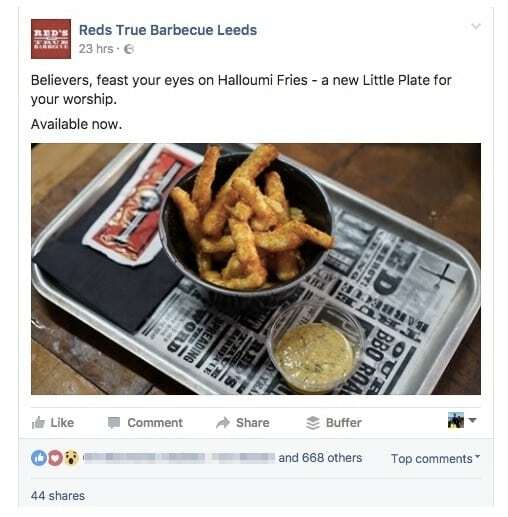 Red’s the popular BBQ chain of restaurants has a Facebook feed that reads like a blog post. 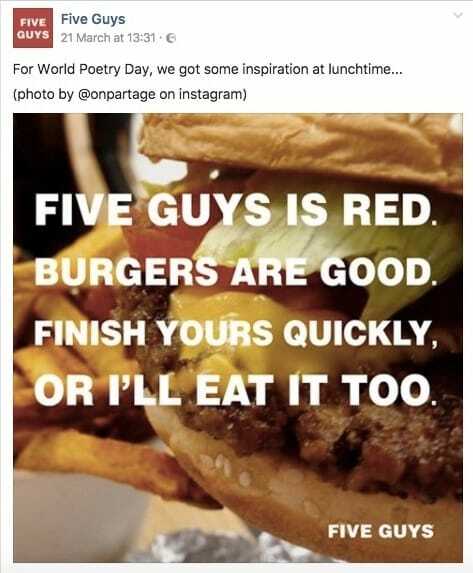 Five guys are absolutely brilliant at using national days to promote their burgers. Notice how they still use photo’s of their main product in these images. 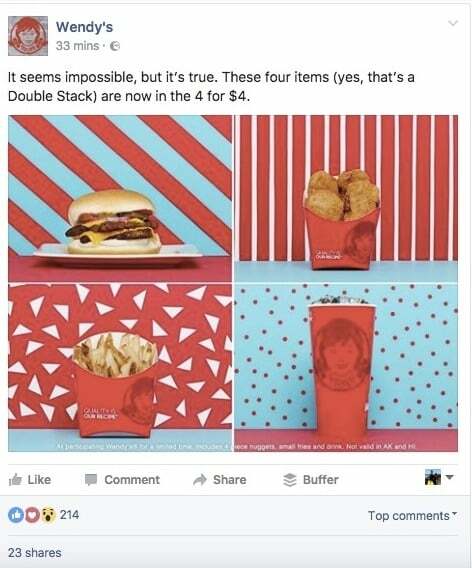 The key point here is that when you are skimming through the images on your own feed you know that this is a Wendy’s post without reading any of the copy. This kind of notoriety is exactly what you should be aiming for and following this guide is exactly how you will do that. These brands stick directly to their own brand guidelines and also the golden rules that I outlined at the top of this guide. 65% of people expect an answer back on twitter within an hour… How many of can say that you use twitter as a effective customer conversation tool? 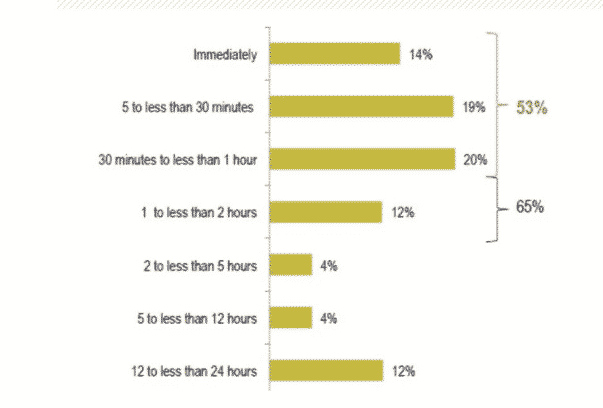 Fridays, which receive more comments, likes, and shares than any other day of the week. WHAT EXACTLY IS GOOD REACH? 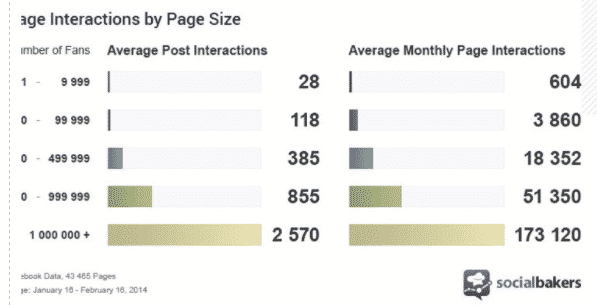 Pages with 1 to 9,999 fans: 28 interactions per post – 10,000 to 99,999 fans: 118 interactions per post. – 100,000 to 499,999 fans: 385 interactions per post. Snapchat’s video views have increased over 400% from May 2015 to May 2016. Facebook has 1.71 billion active users, holding 18% of the market share. Your ultimate aim should be to increase your reach. But what exactly is reach? It is the the amount of eyes that see what you are posting. In it’s most simple matter of fact kinda way, it is the promotion of an organisation by its own employees on their own social media channels. Your employees can be very reliable advocates to your bar and social media is the perfect platform for exercising this. By encouraging your staff to get involved in the endorsement of your bars, their message will come across as more sincere and less of a marketing ploy. 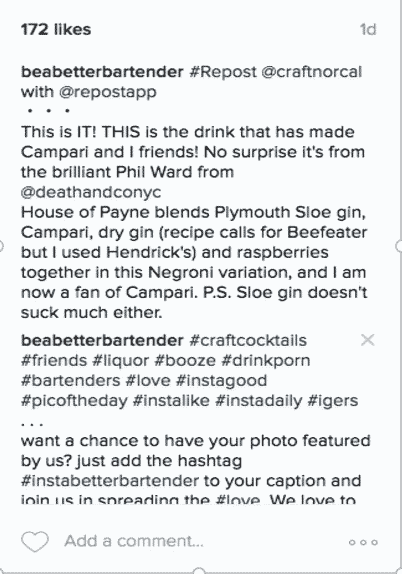 Employees posting relevant content to their own feeds will show a different perspective to your bar and communicate what they see as the most valuable aspects to your bars brand. Also, it is odds on that your staff are exactly the same type of people who you want to be your customers. 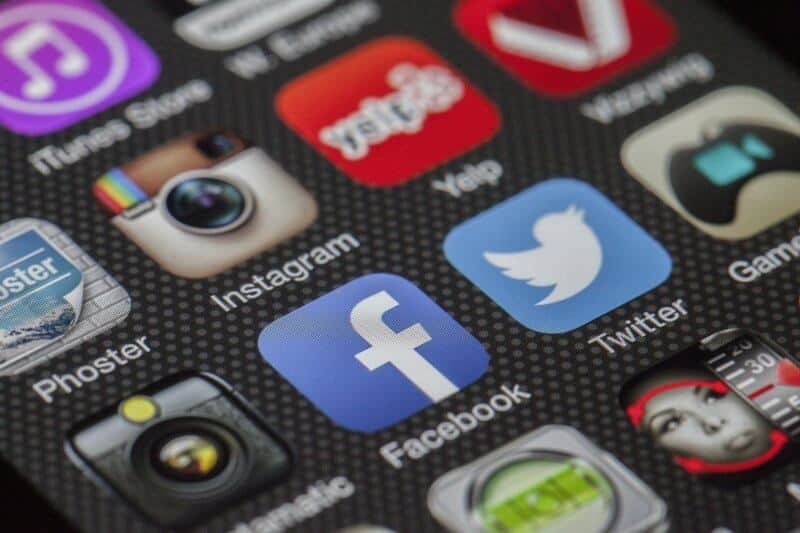 Tapping into their social audiences means that you have instant access to a perfect preferred audience that will want to see exactly what you have to offer. In order for employee advocacy to work though, it is very important for staff to have confidence in your bar, want to take part and be the advocates that you want them to be. The ball is in your court on this one. You have to make sure that they are working in a positive atmosphere and maintaining your staff’s happiness. So what can you do to promote employee advocacy and how do you encourage your staff to take part? Well perhaps the easiest way is just to go ahead and ask them. You will be surprised how many will have no problem with this. It can be as simple as getting them to check in on Facebook when they start their shift. You could simply get them to promote your drinks offers on a weekend and ask their friends to come down. If they are sharing some of your business posts or taking part in the engagement on those posts then your reach will also improve dramatically. Especially because your staffs audience will be a receptive audience. Just asking will work in the short term. But creating an Employee Advocacy Program is the sure fire way to creating a longer lasting presence on your employees feeds. You can also bring this in as part of your new employee program breeding in the idea of Employee Advocacy. Take a look at this image. See where the advocates fit in? Advocate: That’s you, that’s your team, that’s anyone who screams and shouts about you on a very regular basis. They (and so should you) live and breathe the brand and the bar. Loyalist: These are your core customers, the ones who are there every Saturday night, The ones who check in on Facebook. The ones who tell everyone what an amazing night out it is at your bar. Subscriber: These are the fans who keep you at arms length. they know about you but don’t particularly care about you. A normal cocktail post isn’t going to make them come to your bar. They may even follow you because they like your brand but it doesn’t mean that they will ever come to your bar again. They may give the odd like here and there. Friend/Fan/Follower: These are the group that have followed you on social media but have maybe only been once, or even never, to your bar. They will see your posts but it may not catch their attention. Your posts have to be EPIC to engage these guys. Public: These are the people who will make your reach go into the stratosphere. When you hear about posts going ‘viral’, then the post has hit this level and is being shared by those who have never heard of you. Notice how it all starts with your advocates? They are your ticket to hitting amazing reach. 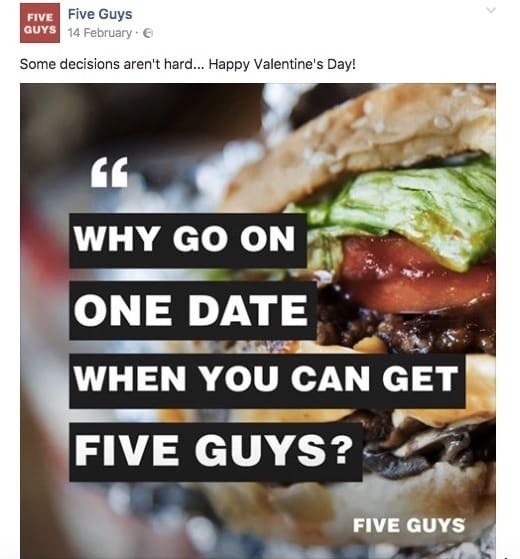 The purpose here is to boost the reputation of the bar and not just to use employee advocacy as another marketing strategy. Step 2: Each day post some pre selected content for the team to share. See the pro tip below to do this effectively. Step 3: Offer a monthly prize for the most amount of activity from an employee. Customers are more likely to engage with post shares from staff members than they are with your marketing channels. PRO TIP: Don’t post directly to the group. Post on your bar page first, then share this to the employee advocacy group. That way when the employee shares the post it won’t be shared from the group which would look spammy. It will be shared from the original post on your correct page. Think of your followers as your community. Now that picture can look a little complicated for the purpose of what we need to keep our eyes on. We learn what our community is saying through lot’s of different mediums. Here is just a few of them that you can scour to find your audiences voice. This may directly about your business. For instance it could be about service that someone received on their last visit. Or it could be indirectly concerning your venue. In the age of social media this is a common occurrence. But… I believe that he is more upset that he was embarrassed in front of his parents. Though this is worded strongly i would say that all this guy really wants is recognition of the problem that he faced. …And make sure that you are doing in in a timely fashion. But Joel, what about if the issue can’t be solved fast? That’s fine just make sure you let the customer know that they have been heard. Using the above as an example. 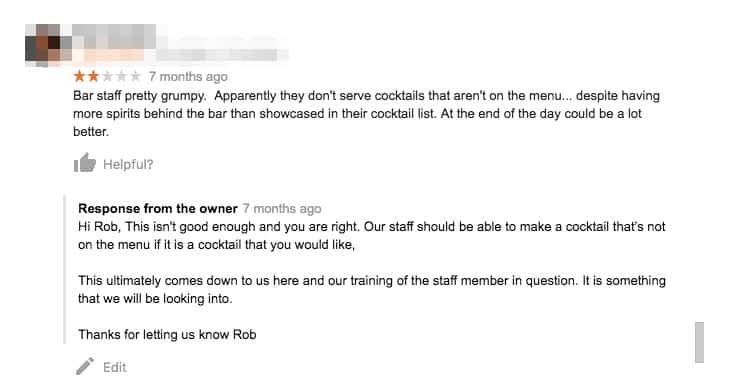 After reading this review and ‘listening’ to your customers problems you decide to send everyone who works with you on an advanced classic cocktails course. Most companies what just leave this here and chalk it up has a success. But you’re better than that – you are going to tell the world that you listened to the feedback and you have made changes. As soon as the customers believe that their voice is heard and they have the genuine power to make changes they will gladly engage with all of your content. The important thing to remember is that social media is fun and when you are doing it you get addicted to metrics such as your reach and your engagement levels. This isn’t a bad addiction, but unfortunately some people get addicted to the WRONG metrics. I have had this problem over time with Be A Better Bartender’s Social Media. 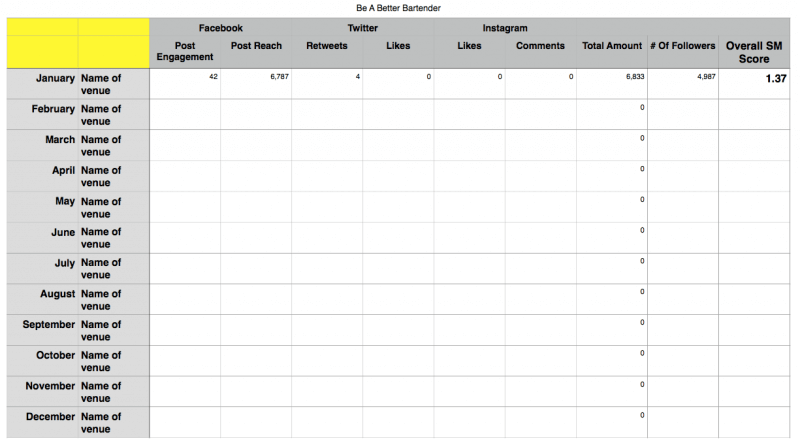 When i first setup the Be A Better Bartender Facebook page I was obsessed with growing the amount of likes and followers that the page had. I put real engagement to the back of my mind. I had no real strategy to how i was posting. If you have 50,000 likes on your page but only one person comments a month is that a success? Short answer is no. It is much more beneficial to have a page with 5,000 likes but 50% of them are active within your feed. Liking, sharing and commenting on your posts. The good news is that if you follow some, or all of the steps in this guide then you are well on the way to creating a naturally great social media presence. To make sure that you guys don’t fall into the trap of being metrics blind i have developed the Social Media Score that i absolutely encourage you to implement straight away which is highlighted below. So what is it that matters – and these are the metrics that you should be looking at. Clicks: A large number of clicks with very few likes and shares shows that your post got their attention but didn’t deliver the exceptional quality needed for the viewer to engage. Great overall engagement with a low amount of clicks indicates that you need to work on how you pitch your content by testing different titles or visuals. Likes: Likes lead to more attention because people naturally gravitate towards things that are popular. More likes also signal to most platform algorithms that this particular content deserves a higher spot in search results. Comments: Getting comments on your posts is a reliable sign that your content is hitting all the right points of interest. Number Of Posts: Of course all this means nothing if you haven’t posted the minimum number of posts on each platform per day to keep up your levels of consistency. Image of how the actual league table will look if you have more than one bar. Essentially meaning that you can create a mini league each month. So let’s look at the figures. ‘Example’ site as 42 post likes, a social reach of 6,787 and 4 shares/retweets over the month which is a total of 6,833 interactions in the month. The ‘Example’ site also as 4987 followers in total across all 3 channels. Each month you would update the table to show who is leading if you are running it has a league. If you want to run it has a yearly tracker and track your progress, it is set out in a way that you can easily see exactly which months are performing better than others. It is up to you then to find out why, replicate successes and put a stop to failures. Social Media marketing without spending any money on adverts is a marathon not a sprint. It can take months to gain traction but i promise you. You just have to stick at it. Don’t jump into trying to implement all of these action points right away, just choose the ones that resonate with you and that you will enjoy. Concentrate on those and do them to the best of your abilities. You will be rewarded. For you guys has bartenders learning a new skill set that will make you even more valuable to your employer will take your career to the next level. So i want you to go ahead and ask your employers for the passwords to the Social Media accounts and show them exactly what you can do! Get out there and do it. Let’s help each other out. Comment below with exactly which of the points you will be taking forward and actioning. For the first ten of you, that leave a comment below, i will personally review your social media channels and give you precise action points for you to go forward. Just let me know what bar or brand you are working for and what points you will be actioning first. Thank you for the effort in putting this all into one place.